Innovative design solutions could play a crucial role in helping to ensure that Scotland’s existing housing stock is equipped to meet the changing needs and expectations of a rapidly ageing population. This is the key message from Trust Housing Association, one of Scotland’s leading providers of housing, support and care for older people, as it unveils a new specially commissioned set of design guides which aim to help social landlords adapt their existing housing stock to meet the changing needs of older people. Official projections from the National Records of Scotland are that the population of Scots aged 65 or older will rise by 53% from 969,000 in 2014 to almost 1.5 million by 2039. The Scottish Government has set itself a challenging target of delivering an average of 10,000 new affordable homes per year between 2016 and 2021. In 2015, 4,037 new units of affordable housing were completed in Scotland. Trust strongly supports the Scottish Government’s ambitious affordable housing supply programme and believes this will give a significant boost to the proportion of Scotland’s affordable housing stock that is suitable for older people, including an increasing number who may be living with complex conditions such as dementia. But the organisation also points to the reality that a large proportion of existing housing stock will need to remain in use for many years to come. 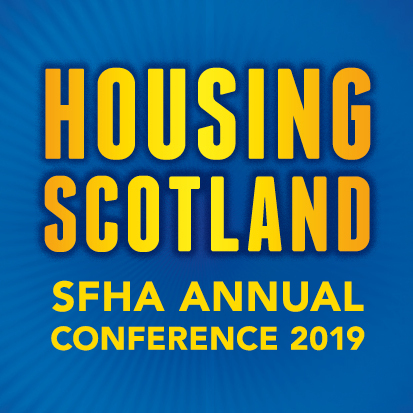 In that context, Trust believes that making cost-effective adaptations to existing stock must be a key priority to ensure this housing is better adapted to older peoples’ needs and expectations as this section of the Scottish population continues to grow. With this objective in mind, Trust recently commissioned a groundbreaking set of design guides in partnership with North Lanarkshire’s Health and Social Care Partnership. The guides provide specific guidance on adapting and remodelling existing stock, better use of colour and signage in housing developments for older people and creating attractive internal and outdoor spaces with improved access to daylight. Contributors to the guidance include UrbanPioneers, an Edinburgh-based landscape architecture and art practice, INCH Architecture & Design, a Glasgow-based architecture, design and research practice and Graphical House, a design consultancy also located in Glasgow. The design guides are being officially launched at a special event hosted at Forgewood Community Centre in Motherwell on Wednesday, 30th November. “All indications are that Scotland’s population is ageing quite quickly and that the number of Scots aged 65 or older will have reached almost 1.5 million by 2039. At the same time, a growing number of older people are living with complex conditions such as dementia. People’s expectations for later life are also changing with most aspiring to be able to live independent lives for as long as possible. These trends create big challenges as we plan our future supply of housing and social care.